Summary: (medium, typeface, etc.) Describe the thing. 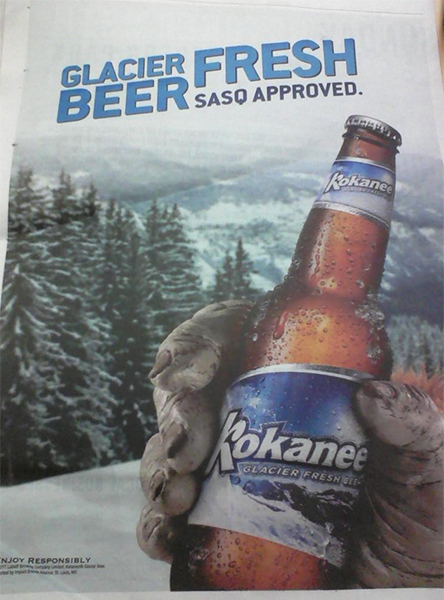 Full page ad in the Stranger Alternative Weekly magazine, photographic approach, yeti holding beer bottle, slanted italic sanserif font cold palette color with a warm accent tertiary.